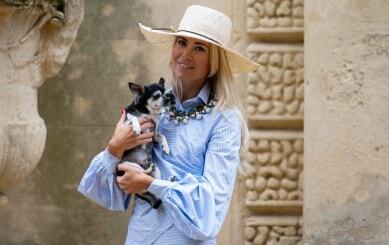 Waight Keller has previously served as the creative head of Pringle of Scotland, Chloé, and now Givenchy. 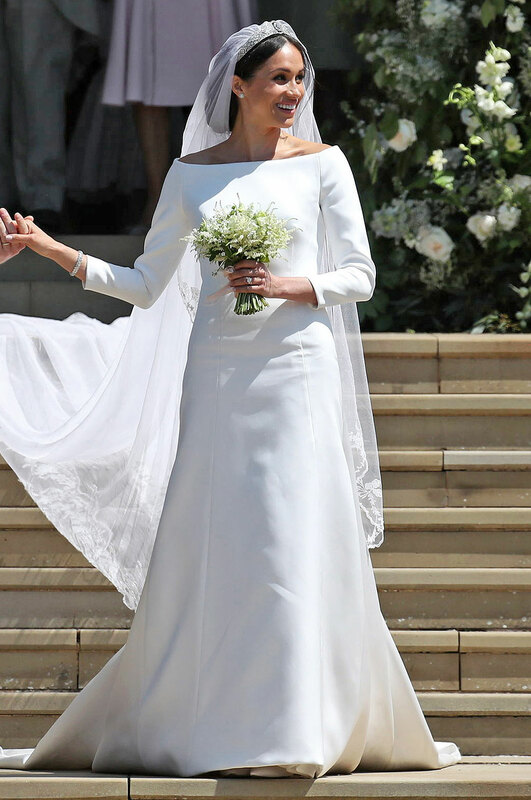 Meghan’s silk tulle veil was five metres long with a trim of hand-embroidered flowers representing the Commonwealth countries in silk threads and organza. Here are ten more of the most memorable bridal gowns in history. 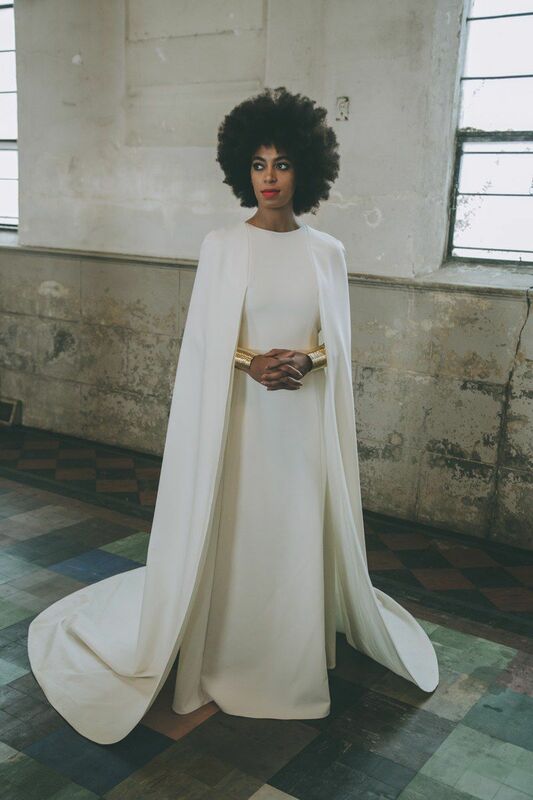 In 2014 Solange Knowles arrived for the New Orleanss ceremony on a bike wearing a plunging Stéphane Rolland jumpsuit before switching into Humberto Leon for Kenzo. Catherine, Duchess of Cambridge wore Sarah Burton for Alexander McQueen in 2011. Throughout her engagement the designer was kept hush-hush, leading to intense global speculation. Style queen Kate married Jamie Hince in an ethereal, cream John Galliano gown at St Peter’s parish church in Southrop in 2011. The custom-made piece was later exhibited in the Victoria & Albert museum as part of its 2014 bridal exhibition. Always ready to think outside the box pop princess, Gwen Stefani married Gavin Rossdale in 2002 in a custom-made pink-dipped white gown, also by Galliano. 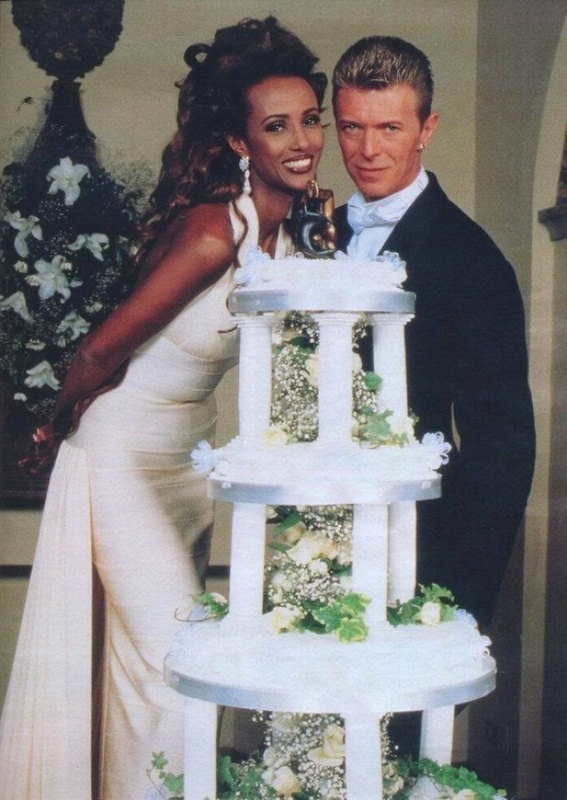 Iman married David Bowie in Hervé Leger in 1992, while her music legend hubby wore a black Thierry Mugler Suit. Though only 68 people attended the ceremony, both designers were there. 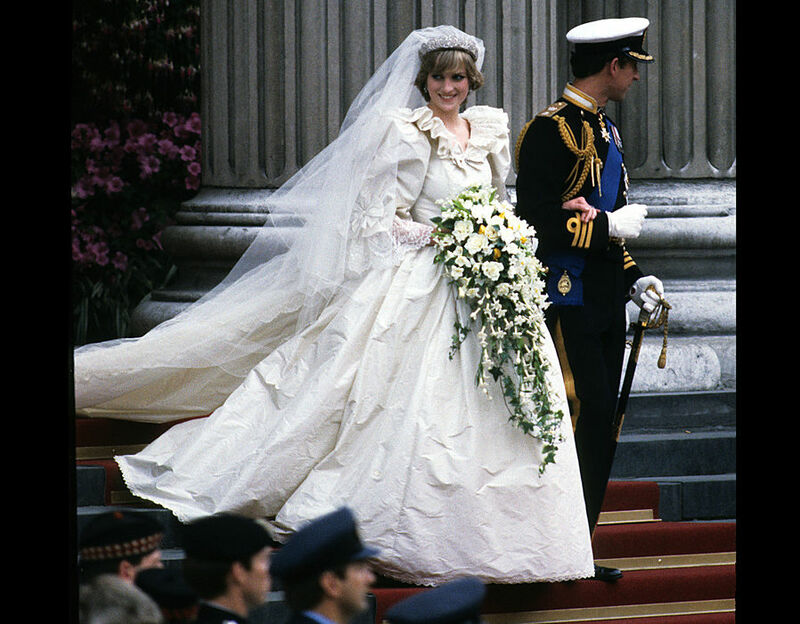 Diana wore a dress designed by David and Elizabeth Emanuel for her July 1981 wedding to Charles. 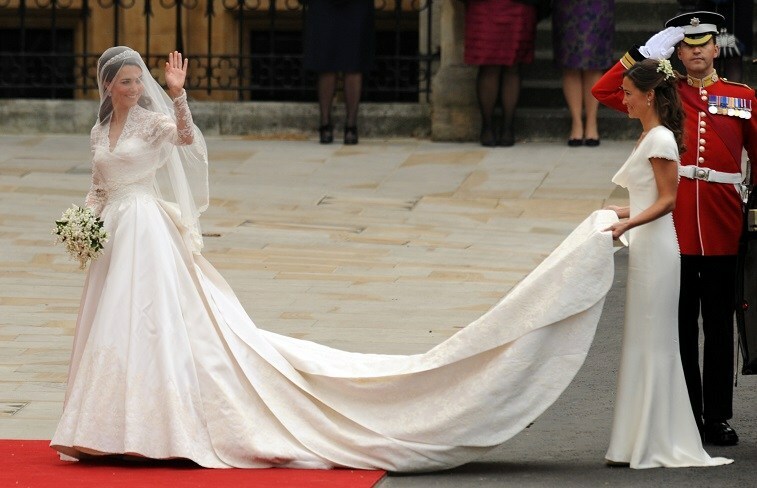 Her gown’s 25-foot train remains the longest in royal wedding history. Bianca married Mick Jagger in Yves Saint Laurent, 1971. Becoming the quintessential image of 70s glamour, and in true rock star fashion, the Nicaraguan-born beauty opted for an ivory YSL smoking jacket with nothing underneath. And we love her for it. 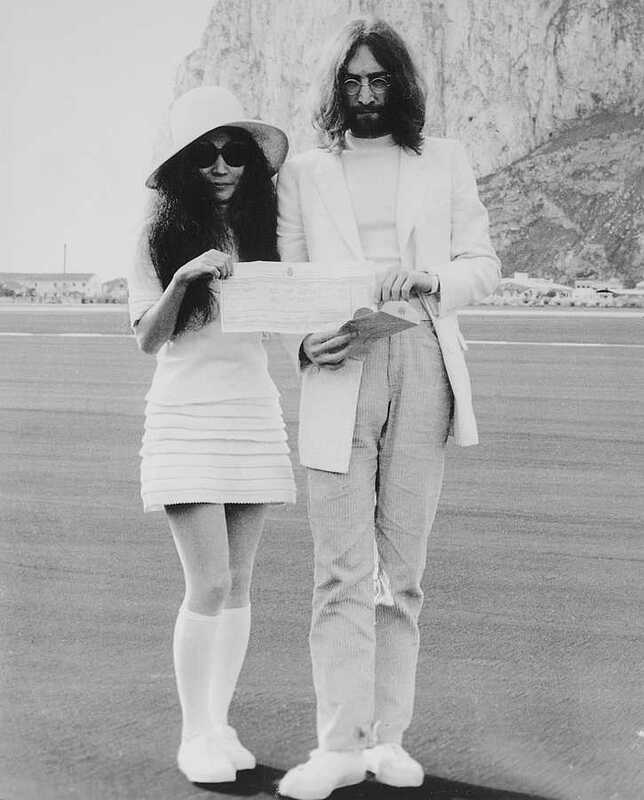 Yoko Ono and John Lennon wed in 1969. The artist chose a white mini dress, knee-high socks and a sunhat, while Zsa Zsa Gabor famously described the couple as looking like “two people going to hold up a bank.” Each to their own. Raquel Welch married Hollywood producer Patrick Curtis in 1967 in a crochet dress teamed with a three-quarter length white fur coat. 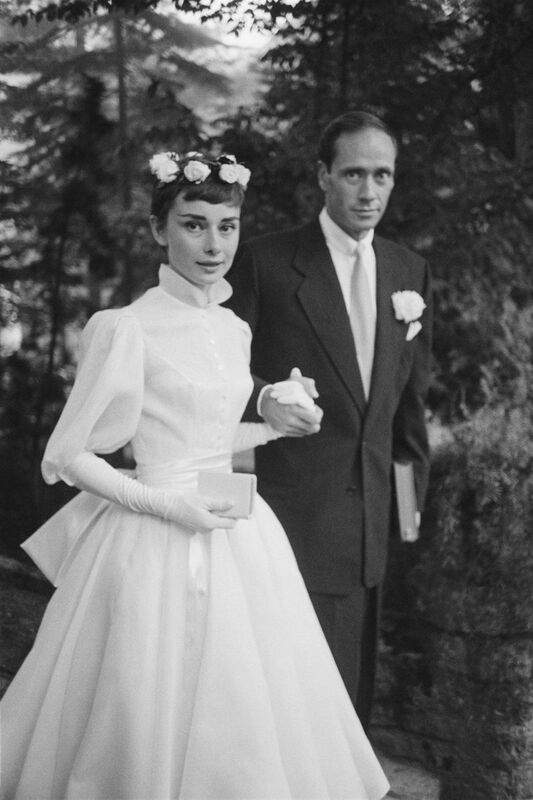 Audrey Hepburn married actor Mel Ferrer in September 1954, after starring with him in the Broadway play Ondine. Ever the image of 50s Hollywood glamour, she wore a full-skirted ballerina-style by Pierre Balmain.